The Foreign Secretary, Jeremy Hunt will visit the headquarters of BT Singapore today (4 January) to officially open their new office and see how UK excellence in cyber security is helping businesses and local government secure their operations for the digital age. 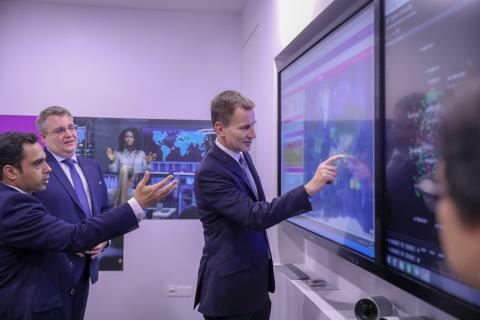 While on the tour of the new office, which is home to around 300 staff, the Foreign Secretary will be shown the company’s new ‘Customer Experience Centre’ which provides an interactive experience showcasing global connectivity services, cloud migration as well as world class cyber security services. 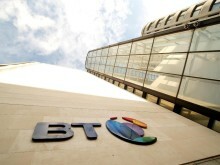 The new BT office will be the hub for the British company to deliver its services across South East Asia, providing cyber security solutions and services to private and public sector organisations. The clients in the region include, a number of Singapore government agencies, major banks and financial service providers, the Singapore Stock Exchange and leading local and global logistics and shipping operators. “It is an honour to welcome the Foreign Secretary to open our regional headquarters in Singapore. The new office is home to almost 300 highly skilled staff, supporting our growing list of customers in the region with resilient connectivity, cloud services and world class security. The visit comes after the UK and Singapore signed a Memorandum of Cooperation (MoC) on Cybersecurity Capacity Building at the Commonwealth Summit in 2018 where the two countries agreed to cooperate to deliver cybersecurity capacity building programmes to Commonwealth Member States for a two-year period. The UK also committed to participate in Singapore’s ASEAN Cyber Capacity Programme (ACCP), originally launched in 2016. A British cyber security expert will shortly start working in the British High Commission in Singapore to support this initiative, which will involve training and sharing best practice with officials working on cyber security in other ASEAN countries. During his visit to Singapore on 4 January, the Foreign Secretary will meet Prime Minister Lee Hsien Loong and Foreign Minister Vivian Balakrishnan. He will also discuss with student journalists how to fulfil their role in an age of social media and disinformation.